Time flies doesn’t it? Only a few years ago we were sending everything to land-fill, paying relatively little, and the landfill site owners were richer than us. The government then introduced the landfill tax escalator in order to encourage investment in alternative waste management options. 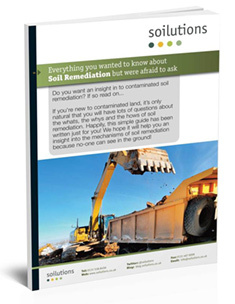 The increases in tax for hazardous soils, also known as the standard rate which is currently £86.10/tonne as of April 1st 2017, combined with the actual cost for disposal, has lead to a surge in remediation technologies which reduce contaminant concentrations allowing cheaper disposal or re-use on site. We’ll be back with information on Land Remediation Relief (up to 150% tax relief on qualifying expenditure) in a later blog.